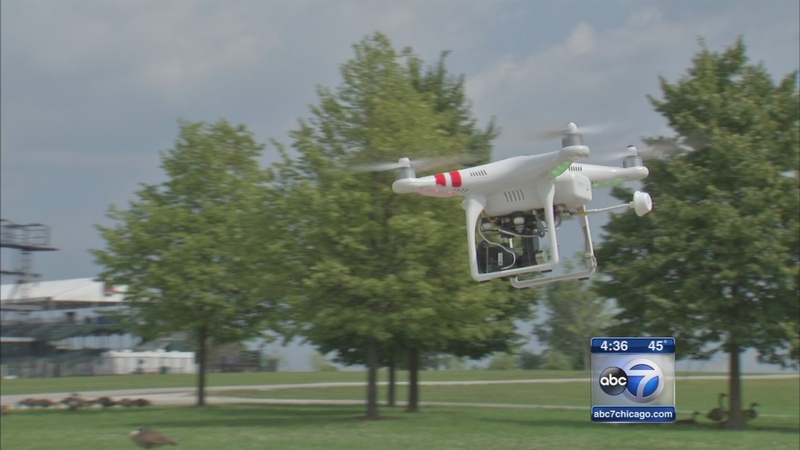 CHICAGO (WLS) -- Chicago drone ordinance will limit where and how the devices can be used. The Chicago City Council approved the new regulations on Wednesday. Under the measure, drones would also be prohibited from flying at an altitude of more than 400 feet. Aldermen decided drones can't be flown directly over a person or someone else's property and may not be flown within five miles of airports. They also aren't allowed near churches, schools, hospitals and police stations without consent. Alderman Burke said the Chicago Park District would have the authority to designate areas such as parks where the recreational use of drones would be allowed. Plus, drone owners have to pay a $50 fee to register their drones. Violators would face fines ranging from $500 to $5,000 per occurrence and possible incarceration of up to 180 days in jail.